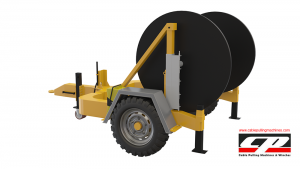 Hydraulic Cable Drum Trailer 4 TONS now available! What for Hydraulic Cable Drum Trailers? 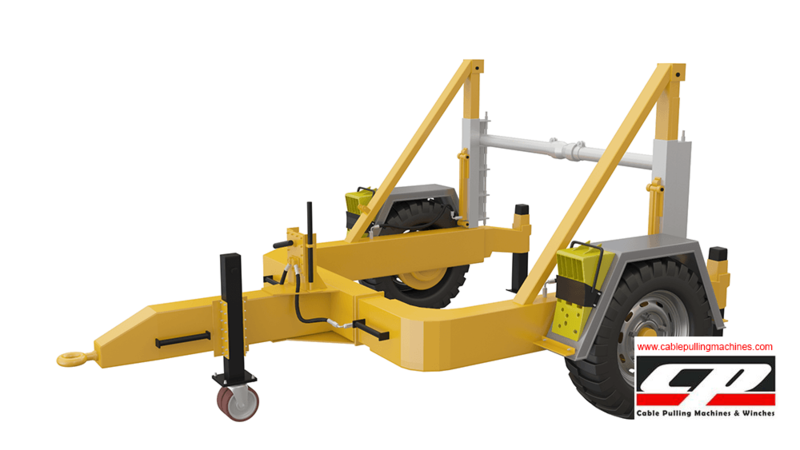 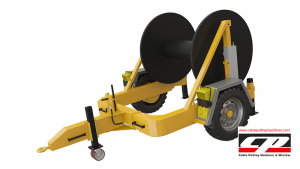 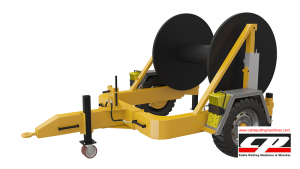 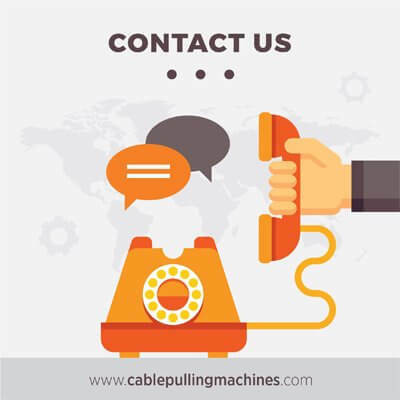 If you are searching for some of the best hydraulic cable drum trailers at affordable prices and the best of quality then you one stop shop is Cable Pulling Machines.They are reliable, safe and affordable as well. Why does hydraulic cable drum trailers in demand? There are many reasons as to why a hydraulic cable drum trailer is so much in demand. 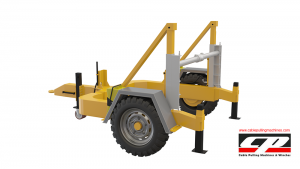 They are operable by a single hand and can lift heavy loads and transport goods from one place to another in a very seamless manner without any kind of accidents. 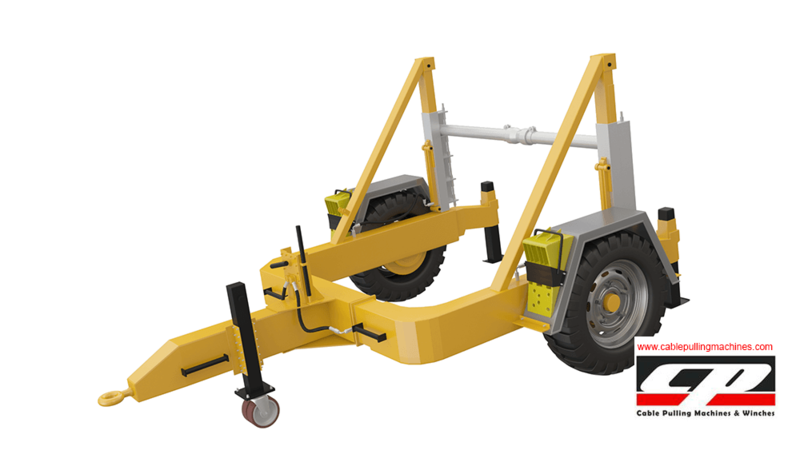 It has leak pins that control the lift in case of a sudden hydraulic system failure, though this normally is not common. The hydraulic cable drum trailers have a hydraulic double action hand pump with a mechanical safety lock for safety. 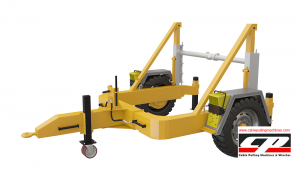 No lubrication is required as it has a trailing arm type with sub axles. All models of hydraulic cable drum trailer has hydraulic Brakes as well as Parking brakes to all axles.The trailers comprise of full lighting systems with international standards.The front frame can also be removed There are various kinds of cable drum trailers among which the AUTO4, AUTO7 up to AUTO30 and most in use. They are equipped with braking as well as road lighting systems and is designed in a way so that it can carry heavy loads and travel at a certain speed.The trailers are fitted with a hydraulic hand pump that makes travelling safe and secured on smooth roads.The trailers also comprise of mechanical security lock for protection. 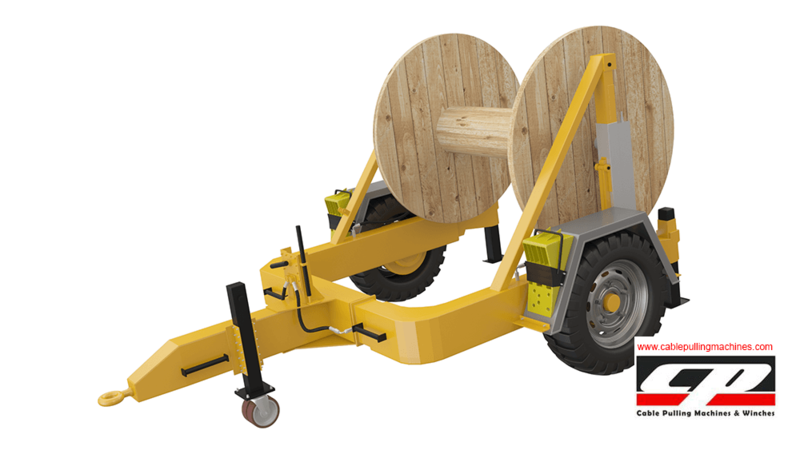 It also comprises of stoppers to manage the lift of the ladder beyond the estimated height.At the same time it has a locking mechanism that helps to hold up the drums in a safe and effective manner.No special effort is required to pull up the cable drums as the hydraulic system takes care of the same.It is a one man effort and requires no other hands.All trailers have electrical wiring system that has been concealed with flexible iron pipes so that it ensures safety as well as a long life.It also comprises of a Seamless steel tubing for hydraulic fluid to withstand all kinds of pressure.The hydraulic cable drum trailers can be easily towed by a tractor, a jeep or a tempo depending on the load of the cable drum. 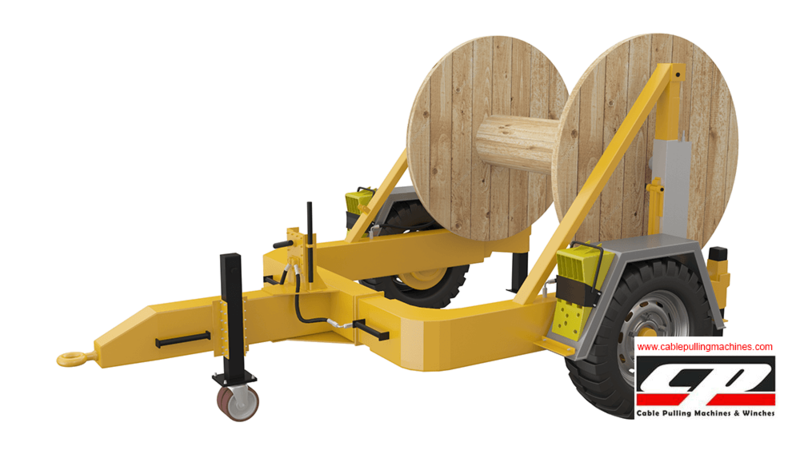 The carrier can also be easily pulled manually by around 5-6 labors loaded in the cable drum.They are very efficient and handy as well. 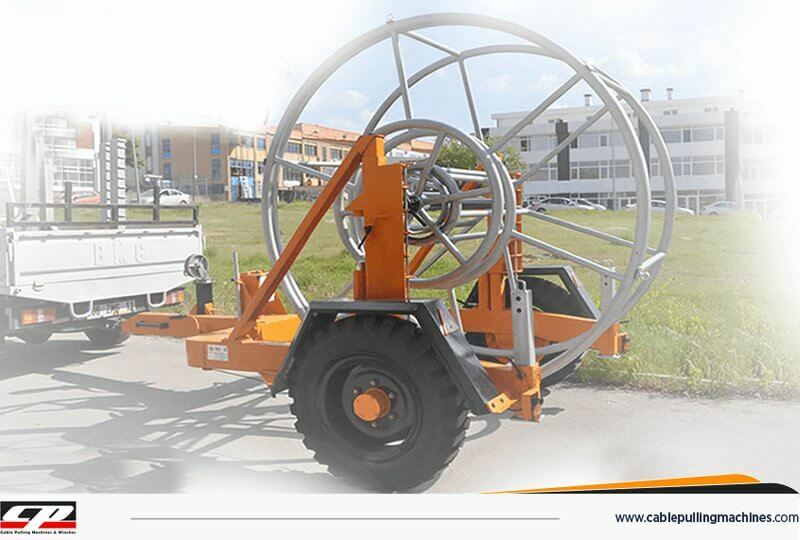 We are one of the best equipment companies that has the most excellent equipments and accessories for project work. 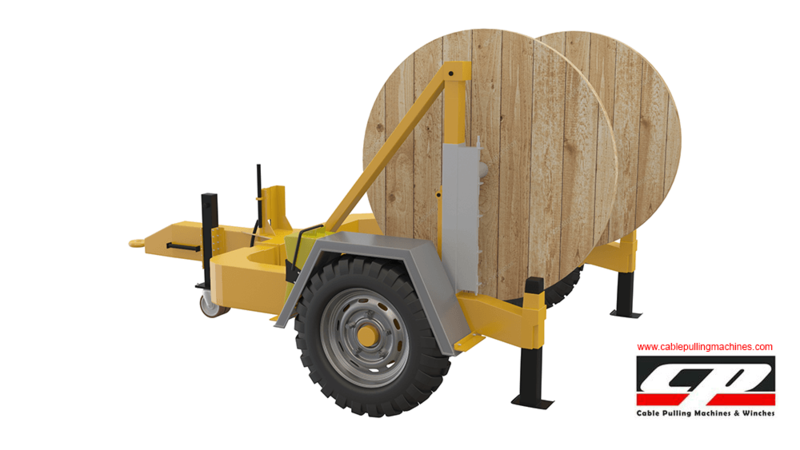 Our products are made with the greatest quality material so that it is hard-wearing as well long lasting.Our hydraulic cable drum trailers are of a variety of shapes and sizes and they are well prepared to heavy loads of synthetic as well as copper cable materials.